Mario’s accomplished a lot in the three and a half decades he’s spent in the public spotlight. He’s been a plumber, a soldier, a doctor, refereed basketball and tennis, played baseball and raced cars, made toys and worked at a brewery. He’s lived through every Nintendo console and watched generations of competitors rise and fall. But in spite of one of the most impressive resumes in all of video gamedom, his arrival on iOS was anything but smooth. Over the past decade, the company made it sufficiently clear that mobile was not and would never be the right play for Nintendo. Having a hardware development team in-house is a major strength. It’s the duty of management to make use of those strengths. It’s probably the correct decision in the sense that the moment we started to release games on smartphones, we’d make profits. However, I believe my responsibility is not to short-term profits, but to Nintendo’s mid- and long-term competitive strength. But industries and buying habits change, and in order to survive, companies must shift accordingly. 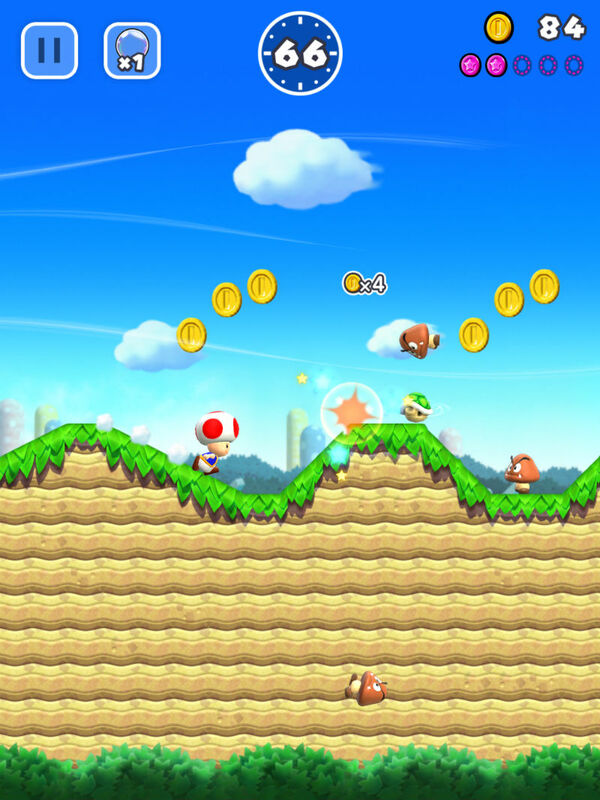 For Nintendo, that meant a reappraisal of how the gaming giant approached mobile gaming. 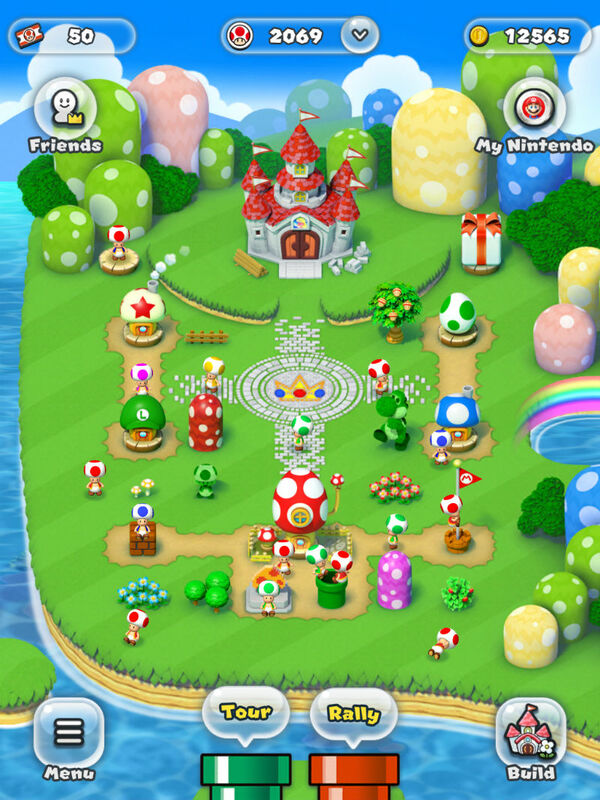 While Nintendo hasn’t shied away from its long-standing dedication to the marriage between platform and game, the opportunity presented by mobile was ultimately too strong to ignore, albeit from a sheer fiscal standpoint and from the point of view of a company looking to reach a new generation of users and underserved parts of the globe with the most valuable intellectual property in the business. It wasn’t exactly kicking and screaming, but no one can accuse Nintendo of launching headlong into a vibrant new format. In March of this year, the company took its first stab at the space in the form of Miitomo, a sort of social network built around Wii-like avatars and tied to the company’s My Nintendo program. The app started off strong, but a few months later, engagement had dropped off sharply. It was a strange choice for Nintendo’s long-awaited mobile arrival. It wasn’t a game, really, and it didn’t leverage any of the aforementioned IP. No Zelda, no Mario, not even a Samus or Kid Icarus. And then Pokémon GO happened. The Niantic-developed app was a veritable phenomenon, a perfect fusion of Nintendo charm and mobile technology, utilizing geolocation and camera-based AR technologies in a way that simply couldn’t exist on other platforms. And in the process, it created the sort of gaming event that only comes a few times in a generation. It also managed to reignite interest in one of the company’s top properties. Next up is Super Mario Run. Set for a release this month exclusively on iOS, the title marks the arrival of the one Nintendo property with even more instant cache than Pokémon. 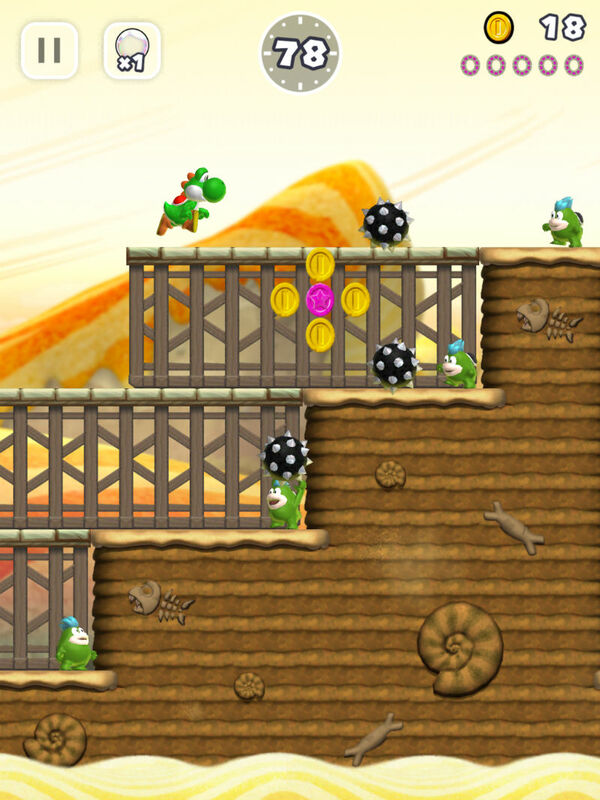 The game plays to the franchise’s strengths, built around a familiar sidescrolling format that maintains a lot of Super Mario Bros.’s familiar elements, from goombas and question-mark boxes to Bowser castles and ghosts, applying them to a slightly tweaked formula designed to play with a single hand in portrait mode, so users can play while hanging onto a subway strap. 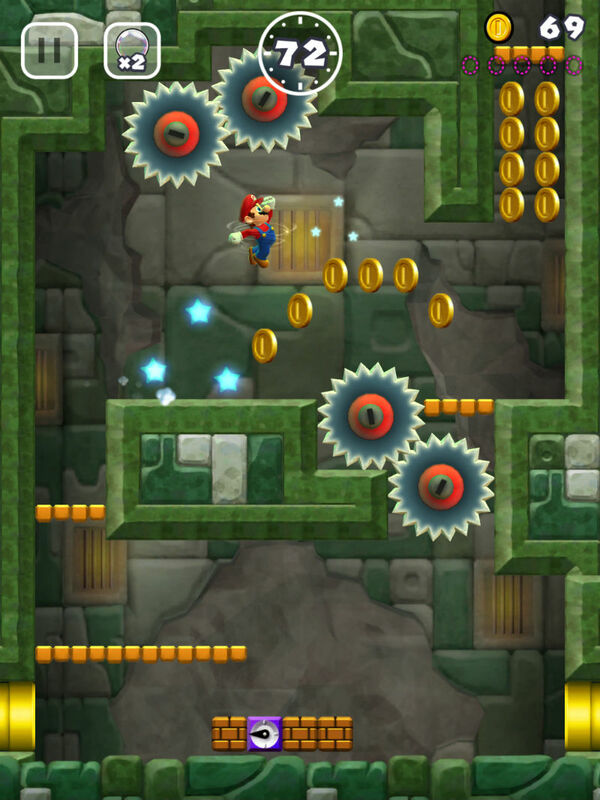 The camera advances automatically and Mario runs along with it. And, surprisingly, automatically leaps over enemies — which admittedly takes some getting used to after decades spent manually jumping on top of Koopa Troopas. The skill lies in jumping over games, grabbing power ups and collecting coins — the latter of which provides users different experiences of the same level when enough of the special pink versions are attained. Anyone who’s spent any time in the Mushroom Kingdom will immediately feel at home among the pipes, and the Nintendo team, led by Mario’s legendary creator Shigeru Miyamoto, has done a fine job playing to the technology’s strengths, with a bright and shiny take of the portly plumber, paired with a souped-up version of the familiar soundtrack. All of that is set to newly designed levels in 24 worlds that echo but don’t directly duplicate the original. The game’s appeal is, in no small part, due to its simplicity. As with the recently released NES Classic, it plays to Nintendo’s greatest strength these days: putting a new spin on the old classics. But that all-too-familiar approach has already made the $10 price point difficult for some otherwise enthusiastic gamers to swallow. While it might be less than the cost of a movie, $10 might as well be $100 for many in mobile app land — particularly in the wake of the free-to-download Pokémon GO. But between a free three-level trial and potential replay value, Fils-Aimé is confident that the company has hit the right price point. Super Mario Run doesn’t capitalize on the iPhone’s strengths in nearly as innovative a fashion as Pokémon GO, but it does a good job playing to its relative weaknesses as a gaming system, porting Mario to a world devoid of custom controllers and massive screen real estate. Like Flappy Bird before it, it’s a game that can completed almost entirely with a single repetitive motion: the tap. 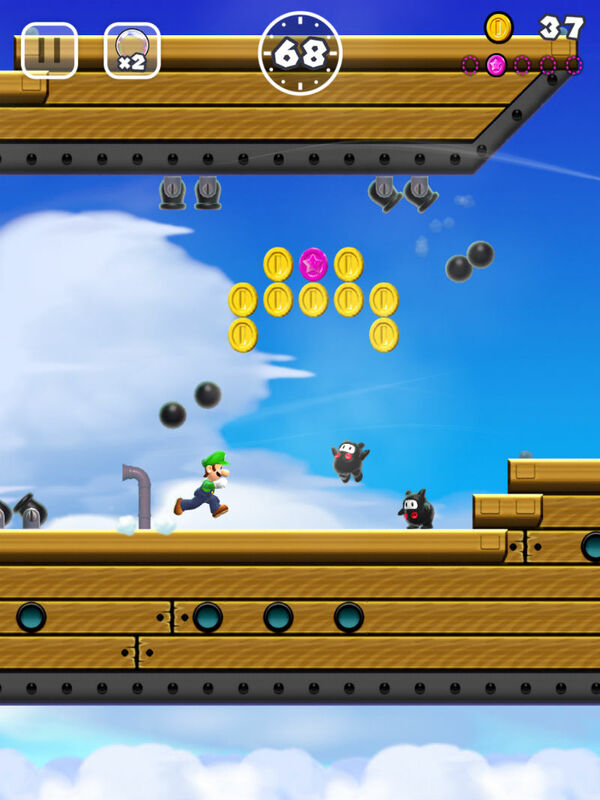 And it also goes even more vertical than the first generation of platformers, with some parkour-style bounds off the sides of walls that help Mario advance to the next level, grab some elusive coinage and get out of some pretty tight scrapes. And as the NES Classic’s seemingly unmeetable demand has confirmed, the nostalgia factor alone will be more than enough to get most gamers through the door. I was only able to play through two levels in my demo, but the appeal is clear. 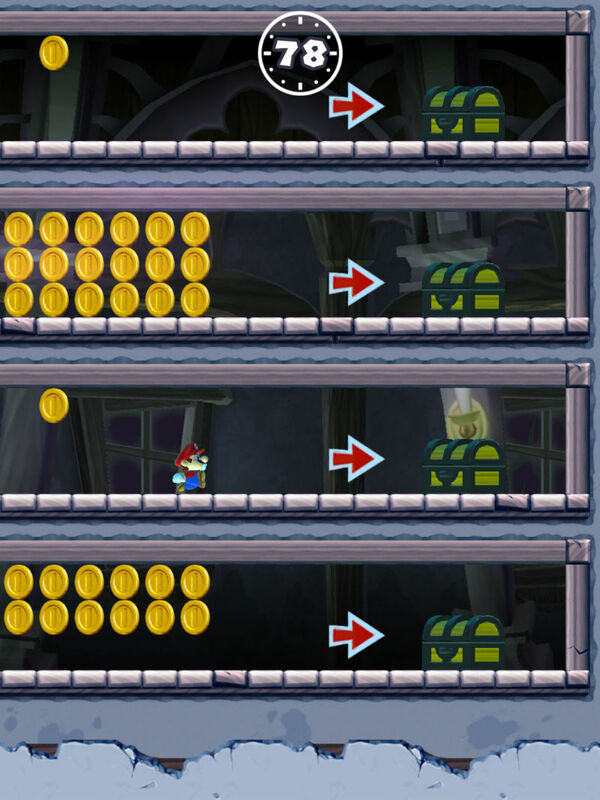 It’s equal parts fun and frustrating the way Mario has always been. I’m not sure the purely aesthetic between-level world building or the opportunity to replay the same level in different configurations has quite the appeal Nintendo is banking on, but 24 world’s worth of gameplay should keep most casual gamers busy for a while to come. And hey, on a platform where Fruit Ninja and Angry Birds are considered classics, perhaps there’s something to be said for repetition. Playing through the game, it’s almost hard to recall the company’s initial reservations around a mobile Mario. With Miyamoto and a team of world-class developers who turned the game around in about a year, it’s easy to image where Nintendo’s mobile division would be if the company had leapt in a few years earlier, rather than stubbornly refusing to develop for someone else’s hardware. But Fils-Aimé insists that the company has no reservations about entering mobile when it did.